This one’s another mom-inspired post (What can I say—she knows me so well?). But it also seemed like a good prompt/opportunity to reflect. One year ago, I was living in Paris, traveling every opportunity I could. Ever since I read Sisterhood of the Traveling Pants and learned about Santorini, I was a travel junkie. Later fueled by Under the Tuscan Sun and Eat, Pray, Love, I made a commitment to myself that traveling would forever be a priority. And it has: I went to college 3,000 miles from home, went on a (mostly) self-funded tryst throughout western Europe, moved alone to a new city for my first co-op, and studied abroad. I can pack a mean suitcase, navigate the French consulate, and eat anything. But I thought I’d reflect on some of the things I learned in Paris, specifically, that still ring true one year later. I prefer to travel alone. This is the most valuable thing I think I learned. Just like I’m not the biggest fan of group projects, I don’t like traveling with others. Think about it—traveling is like one massive 24-hours-a-day, group project, complete with language issues. But mostly it’s about clashing travel styles. I can travel with my mom easily: we both want to wake up early, mozey through museums, picnic in pretty parks, and splurge on great food. But other people muggy up my travel zen. With all due love and respect, I don’t want to hear about how tired/hungry/poor/bored you are. Nor do I want to plan my day around your eating/bathroom schedule. And I especially, especially do not want to be your tour guide. Pick up a guide book and figure it out. ‘Tis not my job, homeboy. Traveling costs. The above traveling alone stuff being said, I do know that travel costs. It costs time, money, energy, patience. I get it. I just try to ignore it when I’m traveling. Because museums and picnics and the druggie-like dreams when I pass out after a day of walking around are totally worth the exhaustion. And the food?—TOTALLY worth it. But when I’m literally living in a travel-ish, foreign environment, it’s overwhelming. There were days (dare I say weekends?!) I never left my apartment, because I was sleeping 16+ hours a day. AND I WAS IN PARIS, arguably the most beloved and beautiful city in Europe. I never picnic-ed on the Pont Neuf, never left a lock on the Pont des Arts (I love Paris’ ponts, or bridges), never saw the catacombs. Again. Traveling is costly, and sometimes I just can’t afford it. I can always go back. 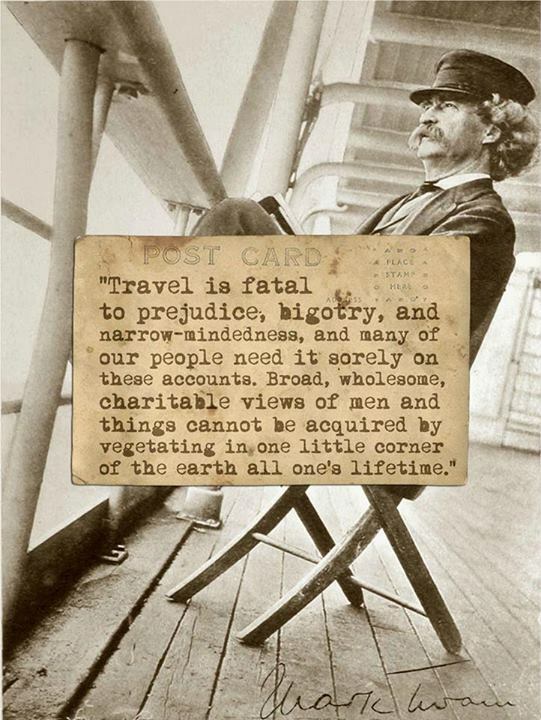 This is the most incredible thing about traveling. Too often, I witness people glued to their cameras, stocking up on cheap China-made souvenirs, trying to commemorate their trip without actually enjoying it while they’re there. That isn’t to say I don’t like trinkets here and there, but they’re small; I like postcards, which I stick in my journal and which boast better pictures than I’d ever be able to capture. Knowing there are postcards for cheapcheapcheap in the store frees me up to see the beauty of some new place without peering though a camera lens. But in some cases, appreciating the beauty isn’t enough, so I confort myself with a tiny little promise: I will come back. I don’t make make this promise lightly, because I have neither the time nor means to travel much in the near future but some places are worth it. Paris, itself, was the perfect example of one of those little promises. When I first visited Paris in May 2010, I promised myself I’d come back. And in my hotel in the 14th arr. one night, I switched my fall courses and changed my study abroad plans from South America to France. On that note, I decided to compile a mini slideshow (I’m working on the whole multi-media thing) of places I visited last fall that I promise I will return to.